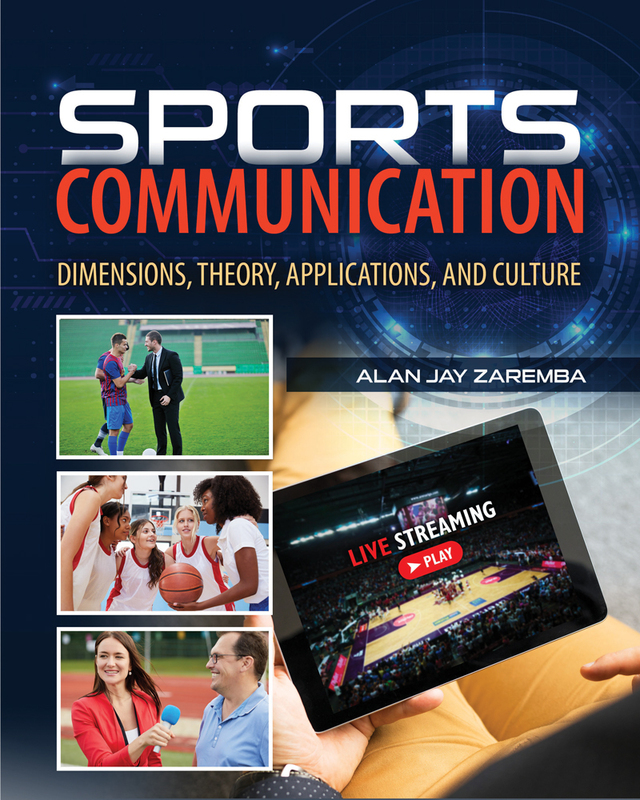 Sports Communication: Dimensions, Theory, Applications, and Culture examines the interdependent relationships between sport and communication that affect culture, economics, politics, team performance, educational systems, and social interaction. Is comprehensive! It discusses communication principles and theoretical underpinnings as they apply to sports contexts, crisis communication in sports, communication within team contexts, and communicating with the public. Is contemporary! The publication uses recent events to describe the effects of sports communication on society, history, and culture, ethical issues for sports communicators, and the impact of fandom on society. Is practical! Sport Communication Prompts, Fair or Foul: Questions of Ethics, First Person Narratives, and Practitioner Perspective vignettes encourage readers to learn from experts and empowers them to apply content to real-life situations. Is student friendly! Chapter in a Nutshell outlines, color photos, Test Yourself vignettes, chapter questions, and references help the reader to comprehend the material. Alan Zaremba earned his Ph.D. from the University of Buffalo and his M.S. from the University of Albany. He has been teaching at Northeastern University in the Department of Communication Studies since 1981. From 1976 until 1981 he was on the faculty at the State University of New York College at Fredonia. Dr. Zaremba has twice earned Northeastern University’s Excellence in Teaching Award, is a recipient of the State University of New York Chancellor’s Award for Excellence in Teaching, and in 2001 was one of two alumni to receive his alma mater’s Excellence in Education Alumni Award. He has been nominated for the Northeastern Excellence in Teaching Award on five occasions. He served for seven years as the Associate Dean for Curriculum in the University’s College of Arts, Media and Design. Dr. Zaremba is the author of six other books including Organizational Communication, now in its third edition and Speaking Professionally: Influence, Power, and Responsibility at the Podium, in its second edition. His 2009 publication on sports fandom—Madness of March: Bonding and Betting with the Boys in Las Vegas was described by one reviewer as “an essential read for anyone who wants to get a better window on one of the more interesting gambling and sports subcultures.” Another book, Crisis Communication: Theory and Practice has been described as “an invaluable text.” In August 2008, Dr. Zaremba was the keynote speaker at the Eighth Annual International Conference on Knowledge, Culture, and Change in Organisations held at Cambridge University in the UK.